Explore the realities behind the hopes and fears associated with stem cell research. 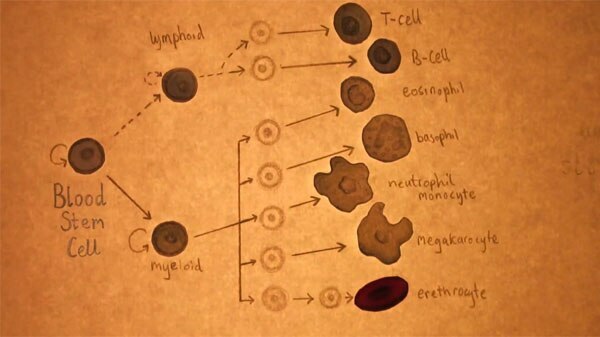 Featuring beautiful hand-drawn animations and interviews with leading stem cell scientists. STEM CELL REVOLUTIONS charts the history and scientific evolution of stem cell research, from the earliest experiments that first revealed stem cells in the body, to leading current scientific and clinical developments. This documentary is a genuinely creative collaboration between scientists and filmmakers. STEM CELL REVOLUTIONS features eminent international scientists in stem cell research, including 2012 Nobel Laureates Shinya Yamanaka and Sir John Gurdon, Nobel Laureate Sir Martin Evans, as well as Sir Ian Wilmut, creator of Dolly the sheep. Acclaimed novelist Margaret Atwood serves as a non-scientific commentator in the film. It is a historic moment for stem cell biology, not only have stem cells themselves vitally changed our understanding of the human body, but the recent work by Shinya Yamanaka has been hailed as "the biggest breakthrough since stem cells changed our understanding of how the body works."